It takes great confidence for an amateur orchestra to take on the sort of challenging programme that the St Albans Symphony Orchestra performed on Saturday. Shostakovich’s wonderful Cello Concerto No 1 and his Symphony No 5 are both hugely challenging and powerful works, as is Malcolm Arnold’s Peterloo Overture, which opened the programme at St Saviour’s Church in St Albans, but the result was a triumph. In my years of following the orchestra I can rarely remember a better performance, and conductor Tom Hammond deserves full respect for his interpretation of the works. Written as a commission for the Trades Union Congress to mark the centenary of the Peterioo Massacre, Malcolm Arnold’s overture might not be to everyone’s taste. But it is a wonderful depiction of the event. Stark and illustrative with some outstanding percussion work, it erupts into a cacophony of musical chaos before a fine lament and triumphant ending. At times it is hard to understand how the individual musicians can pick their way through the complexity — but they did. Shostakovich’s Cello Concerto No 1 is an old favourite. Written as the strict state controls on artistic life in the Soviet Union were beginning to lift after the death of Stalin, it is a work that demands much of the soloist and the orchestra. 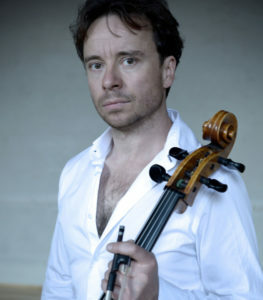 Multi-talented cellist, singer and director Matthew Sharp’s performance was remarkable. He brought a freshness to the work which added greatly to the enjoyment. He was able to transmit his obvious enthusiasm to the orchestra and his performance of the extended cadenza which makes up much of the third movement was inspirational. Overall Matthew Sharp’s performance was inspired and something of a revelation. It would be unfair to pass on without a mention of the very fine solo horn performance during the concerto. The Symphony No 5, which made up the second half of the evening, is recognised as one of Shostakovich’s greatest works, not least because it challenged the state’s authoritarian control of classical music of the period. In all, this was an evening which will stick In memories purely because of the overall quality of the performance.